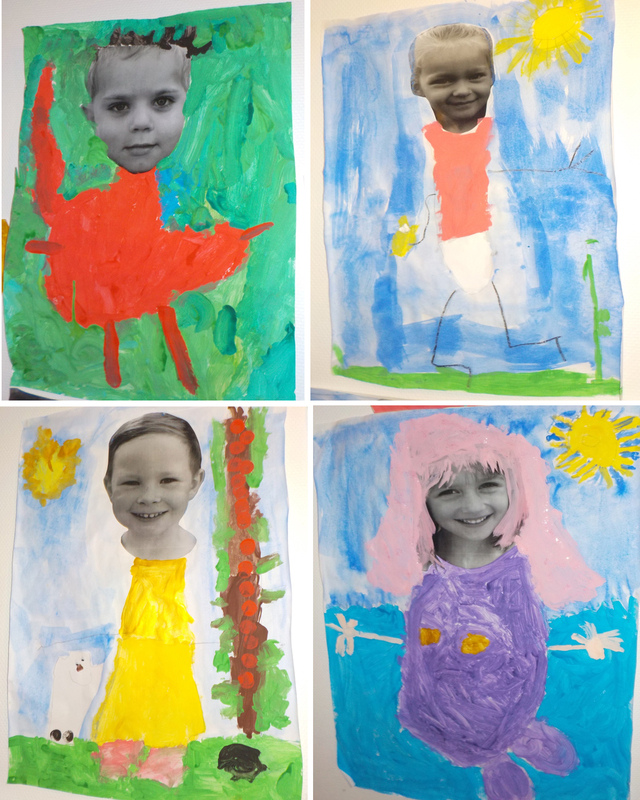 This is a small sample from a class at Sanna preschool in Jönköping, Sweden, where the teachers took photos of the kids and let them paint whatever they wanted to, after seeing the drawings that Myla and I did (thank you, Ellen, Olivia and Benjamin!). 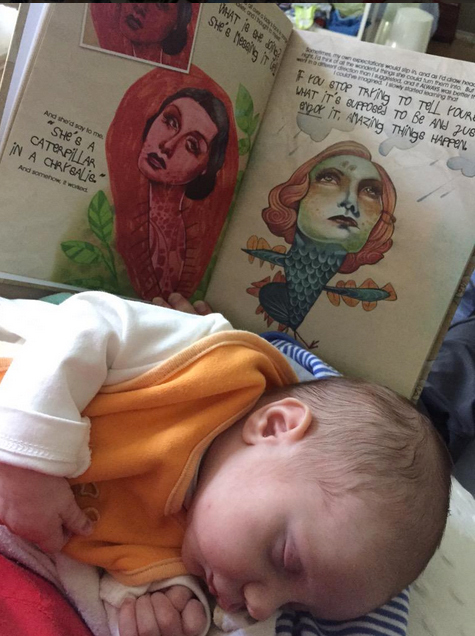 I got this beautiful image via @januarylark on Twitter, who got our book before she knew she was pregnant, and is reading it to her new little buddy. 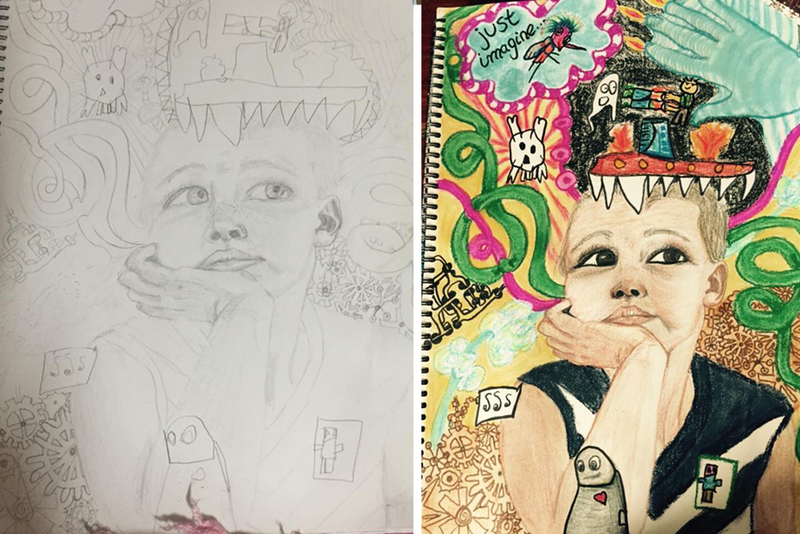 I love to see the things people draw together, and I love that you all share them with me! So keep drawing, keep doodling, but most of all, keep enjoying spending real time creating with your kids!